If you are seller on Amazon and you use retail arbitrage as your main sourcing strategy, then you need a scanner app to take with you into the stores. You may feel you have a gut instinct for a bargain – but, in reality, you will be clueless as to whether items in the store will sell well on Amazon or not. 1. 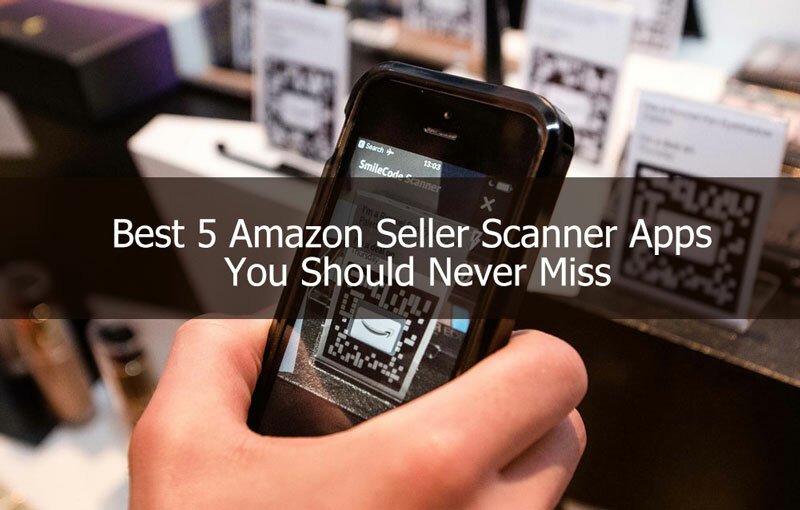 What can an Amazon seller scanner app do? A scanner app will allow you to go into a shop and scan the packaging or the bar code and get instant access to metrics on that product. It will give you an idea of which items are profitable or not and which are already too well represented on Amazon for you to have a share of the market. It is a sure way to avoid losing money buying stock that will not perform well on the platform. The app gives you data on the current price, the estimated profits after fees, the products rang and if you are eligible to sell that product with you account. There are a lot of scanner apps available, but they are not all created equal. Here are the best five apps and why you might want to choose them. 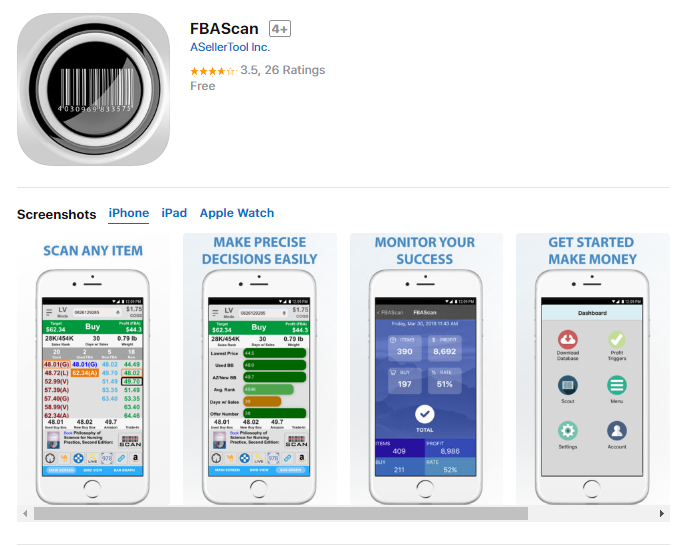 FBAScan claims to be the only app that put a complete Amazon pricing database into your phone – with the option to check any item in less than a second – even where you do not get signal. Unlike other apps that rely on WIFI signal or 4G, FBAScan will switch between the local database mode and the live search. This makes it most useful of all apps when scouting prices and is really the only stand out feature for this app that would make you opt for it. It returns important information that other apps do, including details for Used and New, the FBA prices, sales ranking, product title, type, image and weight. Scan Power is expensive – by far the most expensive. Is it worth it? Well, some would say yes – mostly because the app seems to draw the best and most accurate real-time data from Amazon. Therefore, the decisions you make in store are going to be well guided by the app. The app also reports directly to the desktop application that means when you get back to the office you can quickly build a report of your findings – making the app the scout and then the PC where you preview all the data in depth. The other handy feature is that it allows you to create 2D barcodes for use when shipping your items – meaning you can manage your inventory well. The most important reason you would select the Amazon Seller App is because it is free. It also works with the free Amazon seller platform – unlike most other apps that require subscription to Amazon’s Pro account. Therefore, there is no risk attached to trying out and seeing if it makes your buying decisions easy or not. The problem with the app is that you cannot access data from camelcamelcamel, keepa, ebay or Google. This means you can only access Amazon pricing data. This obviously limits your visibility of the whole market and could lead to potential losses. However, if you are a start-up seller, then starting out with this app is the way to go. It is easy to set up and gives you an idea of the sort of data you should be considering when making your buying choices. It is so easy to set up that you can download the app instore, login and then start scanning on the spot. It is also a great way to manage your Amazon Seller Central area on your phone and therefore on the go. You can mange listings, check orders and reply to customer queries wherever you are. So, this may not be the premium scanning tool – but it is an essential tool for a serious Amazon seller. This app is part of a suite of applications from InventoryLab that help you manage your Amazon and FBA inventory. One of the major downsides is that you cannot get the app without subscribing to the whole package. The whole solution is worth the monthly subscription – but if you are just starting out it is a hefty cost per month. It is probably really only worth the investment if you are selling in large volume. The interface is excellent on Scoutify and is sleek when compared to most other scanning apps. It allows connection to third-party integrations, which means you have the full 360 -view of the products in the store – which is essential when making a selling decision. If you are looking for one of the best scanning apps then Scoutify wins hands down. 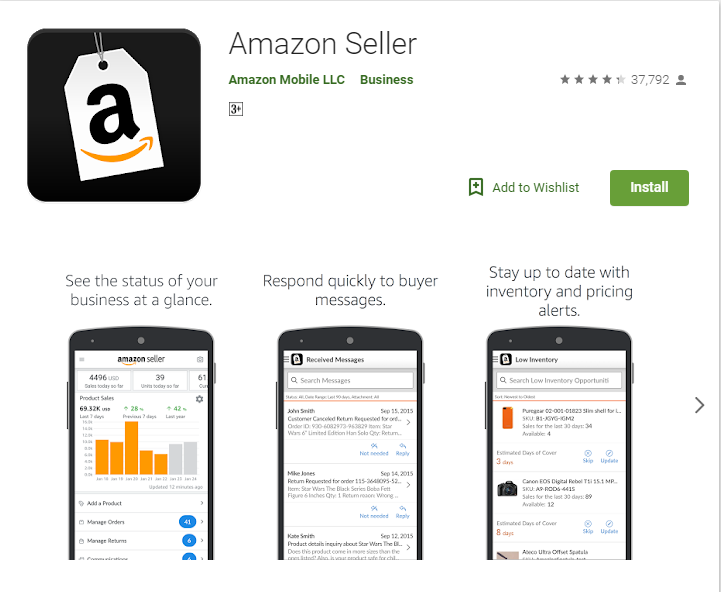 However, it does not allow you to manage your sellers account from your phone, like the Amazon Seller App does. 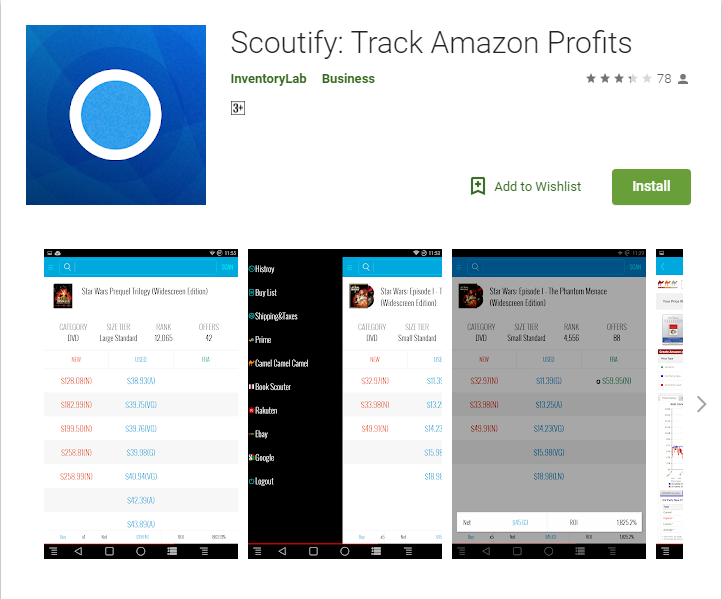 Therefore, you are likely going to want Scoutify for the in-depth research and Amazon Seller App for on the go account management. 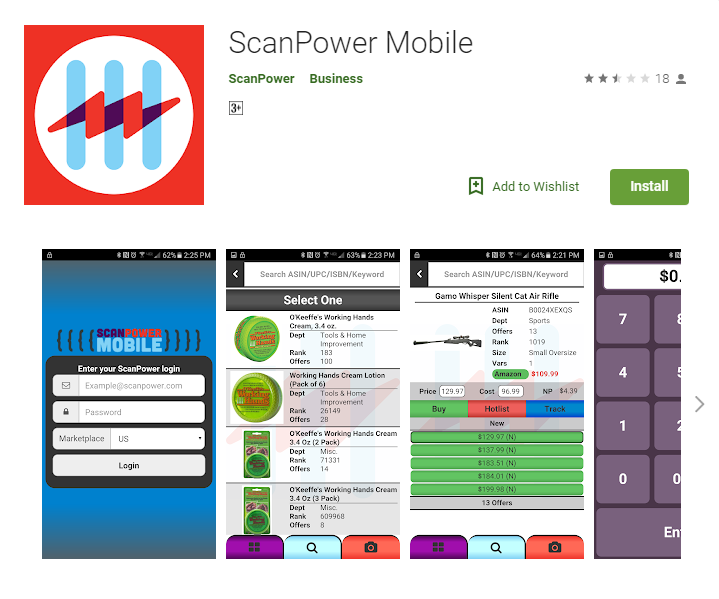 Profit Bandit is a highly recommended scanning app because it is the lowest price subscription with the best options for researching products on the go. This means Profit Bandit realistically offers you the best return on your investment in fees and in your time. It allows you to see the competitive environment on and off Amazon, which means you can make the most profitable buying decisions in and out of store. The instant product pricing tool and profit calculation is invaluable, and it allows you to create a buying list as you move around the store. 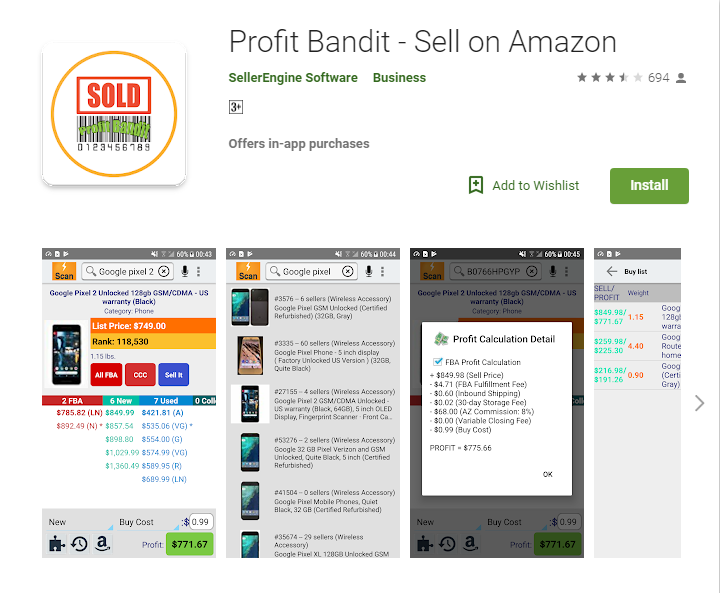 This is similar to Scoutify – but you can purchase Profit Bandit as a standalone app – making it better for low-volume sellers.